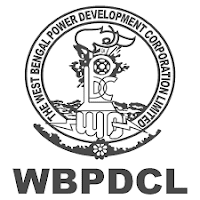 The West Bengal Power Development Corporation Limited is a company owned by the Government of West Bengal with the goal to carry on the business of thermal power generation in the state of West Bengal, India. The thermal power plants under WBPDCL are in Kolaghat, Bakreswar, Sagardighi, Santaldih, and Bandel. Applicants who have completed Diplomagra/Degree(Mechanical/Electrical) or equivalent from a recognized Institute for WBPDCL Sarkari Naukri 2019. Eligible & Interested applicants can apply via online in Official website page at www.wbpdcl.co.in WBPDCL Sarkari Naukri 2019. Complete the WBPDCL Vacancy with the essential data. Take a print out of WBPDCL Sarkari Naukri 2019 Online application form.